Chris A. Cummings (aka Mantler) was born in Toronto, Ontario, Canada in 1969. Although he studied classical piano and wrote pop songs as a young child, it was not until his mid-twenties that he realized his vocation as a songwriter. As a DJ in early-nineties Toronto, Cummings frequented record stores and fairs, where a chance encounter with another record collector changed his life. A Fender Rhodes electric piano existed in a rehearsal space in Mississauga, he learned, but the band that rehearsed there didn't have a piano player. Cummings joined the band for weekly rehearsals for one year, following which he bought a Wurlitzer electric piano and began composing songs on his own. He chose the name Mantler, feeling that it reflected both the humour and the seriousness of his work. Mantler is a pop project with shadings of R&B, melodrama, mix tapes, shopping malls, experimental films, and eternal hope in the face of everyday despair. It's about trying to scale the heights of your heroes. 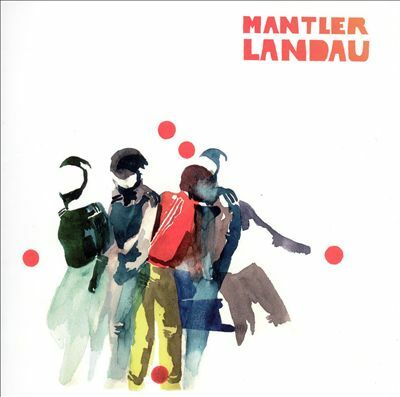 "Landau" is Mantler's second album for Tomlab. It is also the first Mantler album produced by longtime associate Zack G. A common sight on the streets of nineteenth century cities, landaus were commodious horse-drawn carriages. The album "Landau" was conceived as a carriage-ride through contemporary traffic, in the form of a love letter to African-American music, written by a white Canadian. A return to the more groove centred Mantler recordings, "Landau" includes beautiful pop songs like "Playin' Along" with its extended chorus, and carefully-crafted instrumentation, stylish drum machine beats and some to-die-for Cummings harmonies on "Regret", wonderful love songs like "Comes A Daybreak" and more dance oriented radio tunes like "Togethernest", and with references ranging from Joni Mitchell, Donald Byrd, 80s soul, Burt Bacharach and Roy Ayers.